Over 150 guests turned out to celebrate educational exchange and people-to-people diplomacy. In December 2011, in one of his first speeches in Beijing, U.S. 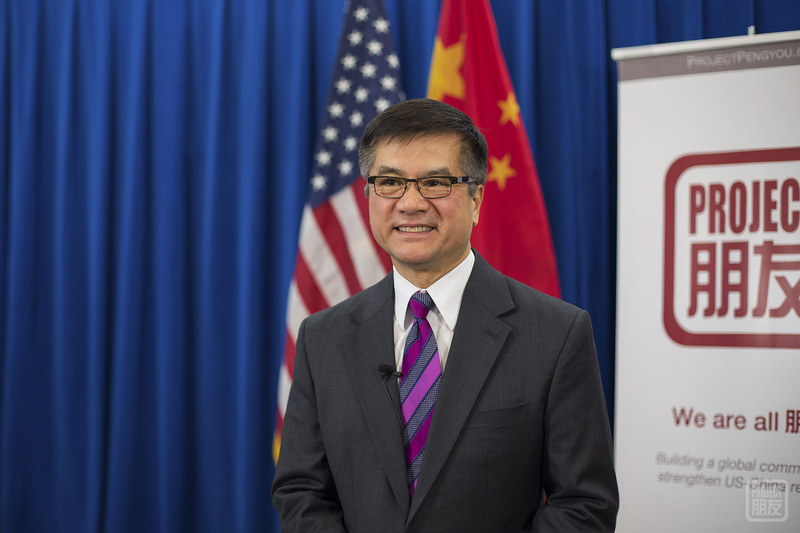 Ambassador to China Gary Locke announced the launch of Project Pengyou. 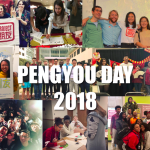 So it was fitting that the ambassador rounded out his tenure by hosting a reception for Project Pengyou at his home away from home, the U.S. Embassy in Beijing. Over 150 guests turned out to celebrate educational exchange and people-to-people diplomacy, including academic directors like John Thomson of the University of California Education Abroad Program, David Moser of CET, Jeremiah Jenne from IES and Han Bing from Alliance for Global Education; along with alumni representing over 100 U.S.-China educational exchange programs. Also present were two of our biggest supporters, rocker Kaiser Kuo and entrepreneur Richard Robinson, and a special surprise guest: comedian Joe Wong! During his years in Beijing, Ambassador Locke has been a tireless supporter of citizen diplomacy between the United States and China. From gaining instant fame when a picture of him buying his own coffee at Starbucks went viral on the Chinese Internet to his pilgrimage to his ancestral home in Guangdong, Locke has proved himself a down-to-earth and effective bridge builder. He made the U.S.-China people-to-people relationship a priority and we thank him for supporting a budding grassroots organization like ours. 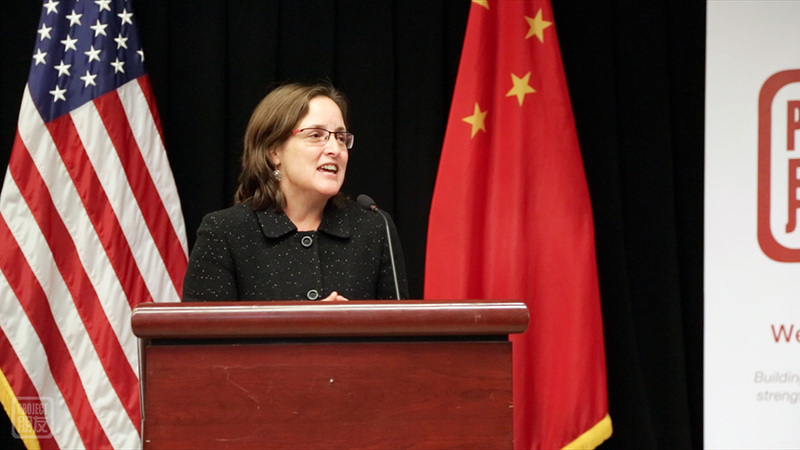 At the reception, Locke emphasized the importance of cross-cultural leadership and the need for more China-savvy Americans. He stressed the value of everyday, people-to-people diplomacy and reminded us that we all have a role to play. “It all starts with people-to-people. It all starts with mutual understanding, respect for each other,” he said. 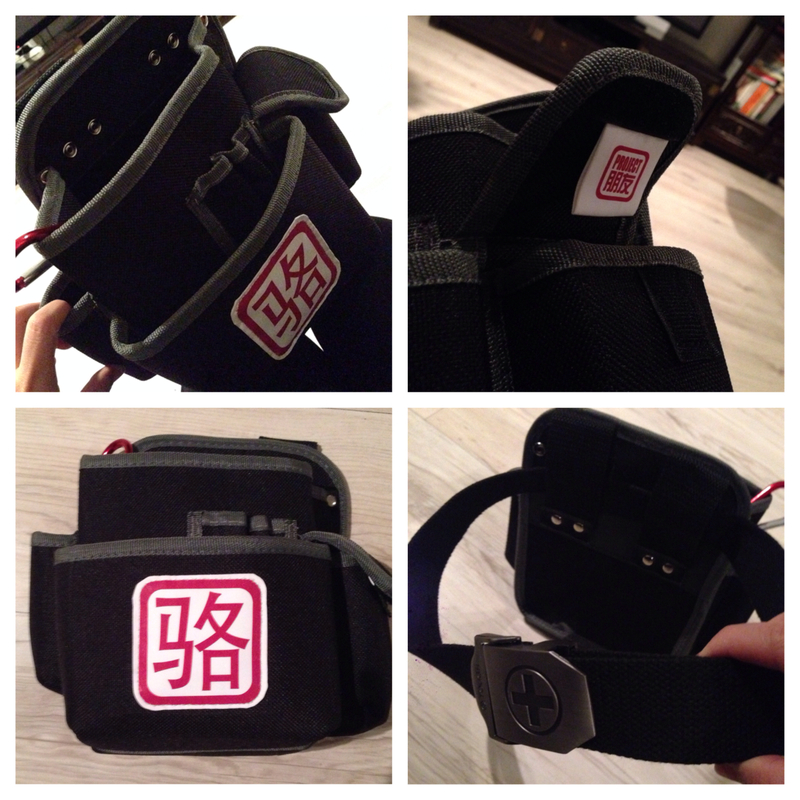 After Locke’s remarks, Chief Pengyou Holly Chang presented him with a tool belt monogrammed with the Chinese character for Locke on behalf of Project Pengyou. The perfect gift for an practical ambassador who is also something of a handyman. Indeed, Locke displayed his expertise by immediately recognizing it as a belt for electrical work and plumbing because it lacked a hammer loop. Next up was Elizabeth Knup, Chief Representative of the Ford Foundation Beijing Office and Project Pengyou’s founding sponsor. 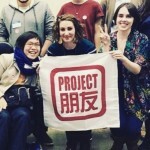 She spoke of the unique position that the Project Pengyou community occupies and Ford Foundation’s vision for international understanding. Holly Chang rounded out the speeches by sharing her own emotional China journey. She also noted that in 2011, out of every 1,000 American students enrolled in post-secondary education, only one studies in China. Holly encouraged every pengyou to utilize his or her China experience to motivate Americans to better understand China. Holly also unveiled our new Leadership Fellows Program, which will kick off with a four-day Leadership Summit in March 2014 at Harvard University. 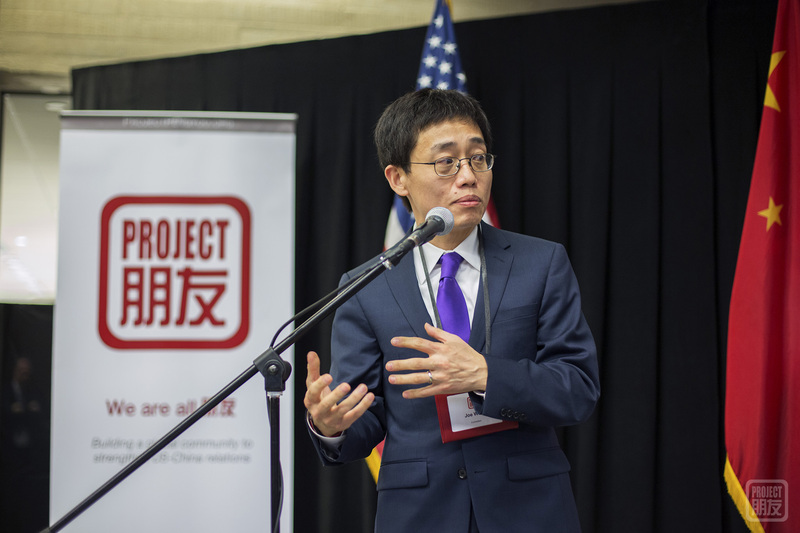 We’re aiming to train over 100 young American “China alumni” in grassroots organizing and cross-cultural skills so they can establish community chapters in every state across the country by year’s end. We hope it will be the start of a larger movement. Before and after the speeches our guests nibbled on a host of all-American treats (including burger sliders and Twinkies!) catered by the Hilton Beijing and sipped on grape juice sponsored by ASC Fine Wines. They also took part in the Pengyou Ambassadors Challenge, four small quests which allowed them to enter a raffle for an Apple TV when completed. 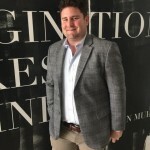 Celebrity comedian Joe Wong got the crowd going in his signature style and handpicked our raffle winner, Justin Perkinson, a current Fulbright scholar, who went home beaming with his new Apple TV in hand. As people said goodbye, we couldn’t help but marvel at this amazing community of active and steadfast pioneers. 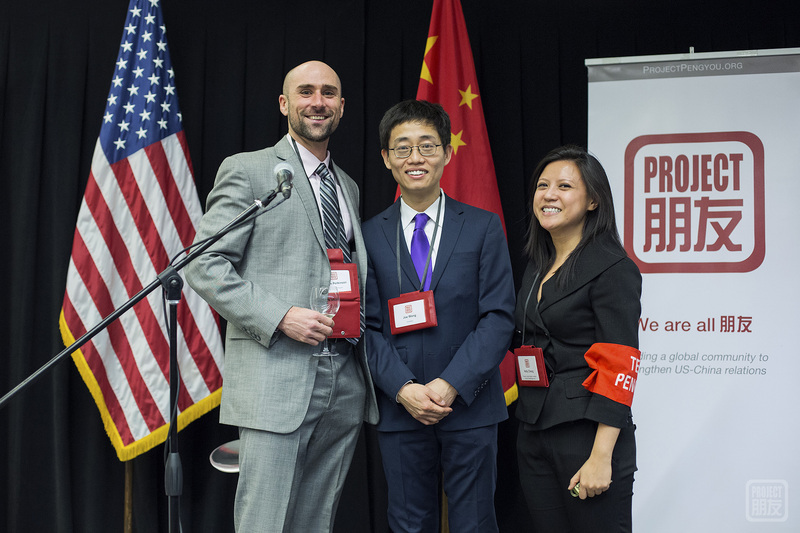 The academic leaders and China alumni represent the potential within this community to reshape the U.S.-China relationship. A very special shout out to the unbelievably professional U.S. Embassy staff, our diligent volunteers and the creative talents at FlowCS for making it an unforgettable evening. Thanks to everyone for coming out and supporting us!